We have started a new series of posts, with a weekly update on activities at the lab. This is being coordinated and authored by Rachel Kuehr, a College of Business student, who is volunteering at the Lab. 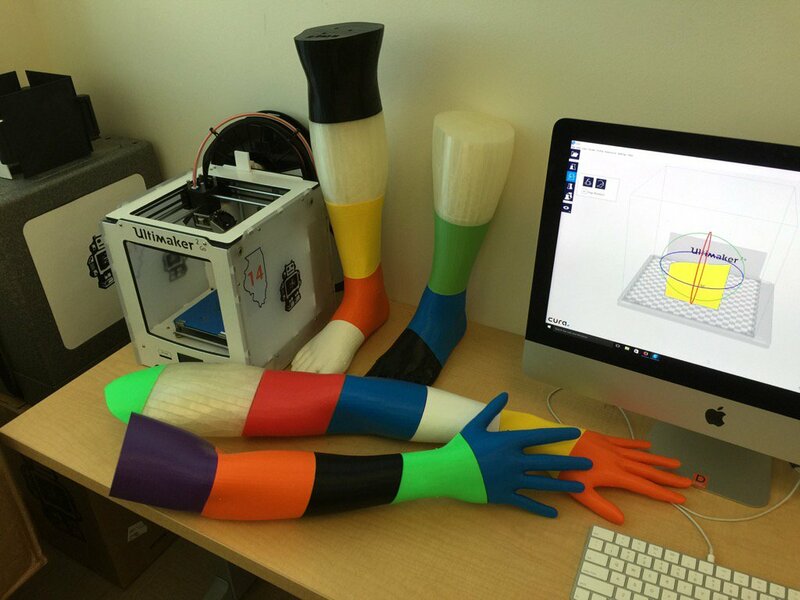 We started this semester with an ambitious project to 3D print a full size human, aka Max. (The Evolutionary Development of Man (Max)). Max is being created by putting together 88 3D printed pieces. We made it our goal while printing Max that no two touching parts be the same color. Currently, Max is made up of around 17 colors! Here are some pictures on our progress so far! We will have an event on Wednesday, November 9th in the BIF atrium from 2:00 to 5:00 pm, where you can get a chance to assemble Max! When assembled, Max will be a 6'1" replica of a human being. To follow our progress on making Max, just search #printaperson on twitter or click the hash tag! In addition to Max, the MakerLab has also been busy making 3D models of some iconic places around campus. MakerLab’s gurus and volunteers are printing these scaled replicas for the Provost’s Office. 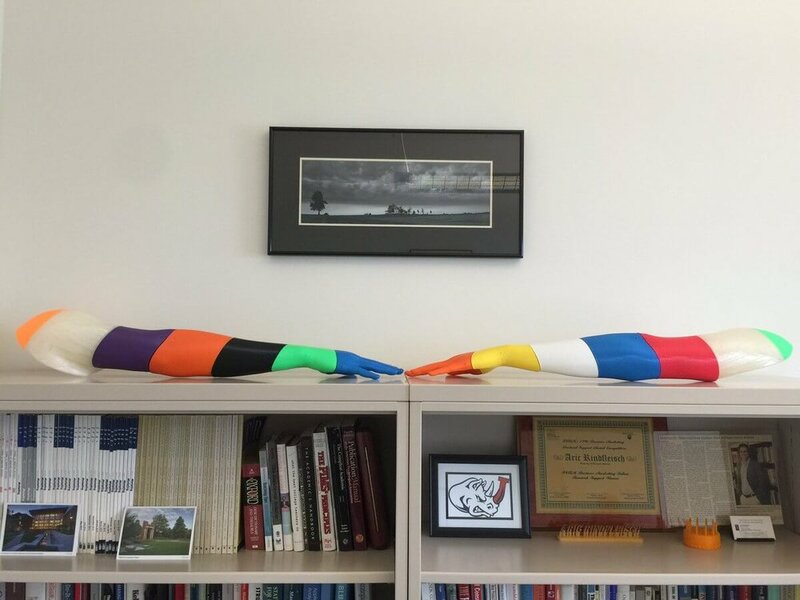 The Provost’s Office used these scaled replicas at a fundraiser hosted on Illinois’s campus. Hallene Gateway:This 10-inch print took about 40 hours to complete. The reason this print took this long is due to the support structures needing to be made. The printer cannot print in midair so these support structures allow the printer to print the arch of the gateway. The photo on the left includes the support structures and the right photo is the completed print once the support structures have been removed. Altgeld Hall: This iconic building is home to the university chime bell tower. 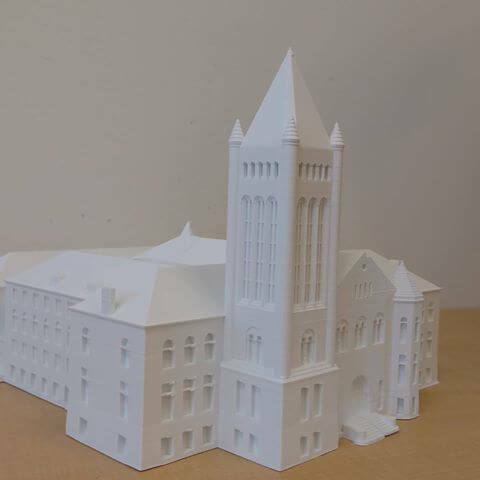 Altgeld Hall had to be printed into 4 separate pieces and then glued together. This final model ended up being 15 inches wide and 10 inches tall. State Farm Center(Erstwhile Assembly Hall): No, this is not a flying saucer! In fact this building is home to our Fighting Illini basketball team! Much like Altgeld Hall, this small scale replica needed to be printed into 4 separate parts before it was glued together for the final product. At the same time as building Max and printing the many campus buildings, the MakerLab guru's were teaching many different people the basics of 3D printing through our workshop on October 5th. 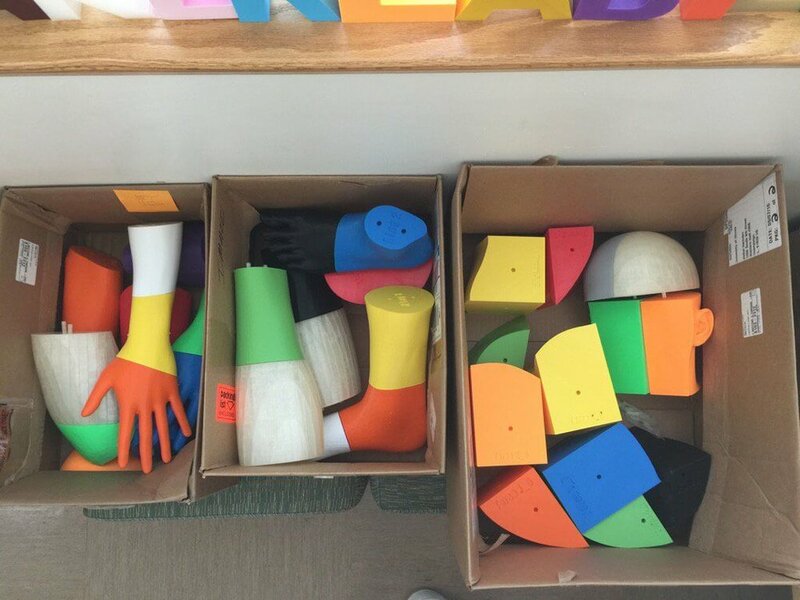 This workshop teaches the different ways to 3D print. 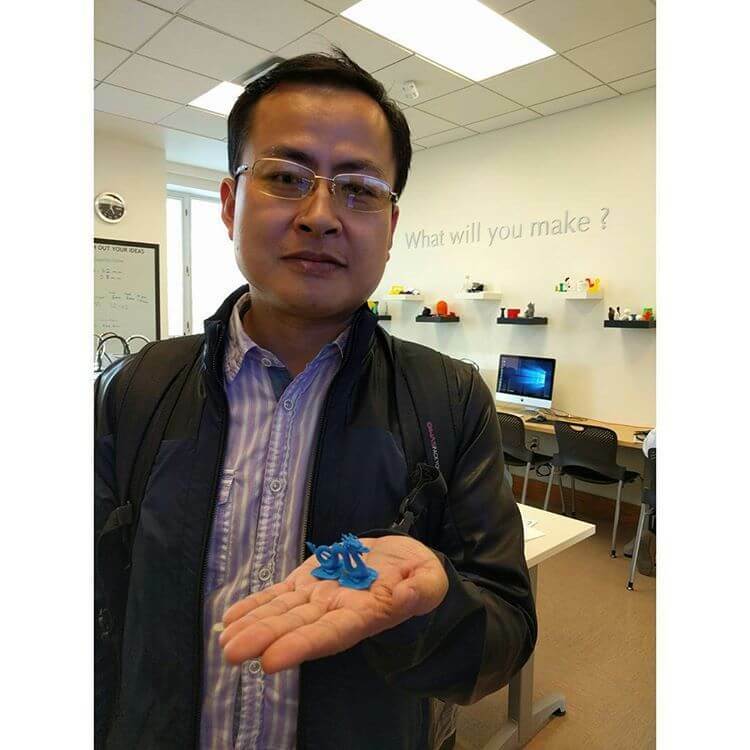 In this workshop, participants learn how to use a 3D printer by downloading a file from a digital library (thingiverse.com). We had a wide variety of prints from a Pokemon to a pumpkin to a bike. Once you have found your design on thingiverse.com, it is uploaded into a 3D slicing software Cura. Cura allows you to resize the object or add those support structures I mentioned before. But most importantly, Cura gives you the length of your print. After Cura, the printing begins! The next few pictures show Makers watching the printers print their design. The picture to the far left shows two Makers who have completed all of our 3D workshops (3D Printing, Modeling and Scanning) and received their certificates! Unfortunately, we do not have any photos of the completed prints from this workshop. But, we do have some photos of what other people have printed during other workshops. Check out these awesome designs that people made! To see more cool 3D designs make sure to check out our Instagram, Twitter or Facebook page! One of our workshops included executives from the Export Import Bank of China. We were very excited to have them in the MakerLab and to teach them how to use the equipment to 3D print. Here are these executives learning how to 3D print for the first time! Sign up for one of our workshops here.